Question for Webster: Are Paul’s words just as important as the words of Jesus? How do we know that they are the words of God if God didn’t personally speak them? Question: If the epistles were written to a specific person or group of people, how can we know if the letters apply to us? Answer: Paul mentions that he wants one of his letters to be read elsewhere(Col 4:16). Paul doesn’t only address the receiver of the letter. In James and Peter he addresses both the addressee and the tribes of the Dispersion. Paul also understood that he wasn’t speaking his own words put the Spirit was speaking through him(1 Corinthians 2:12-13). The epistles are relevant because they establish the Church and the members of it(Ephesians 2:19-20). Paul’s letters are rooted in truth. The truth of Paul’s letters don’t depend on when and to whom they were written. Question: If a letter of Paul were discovered today, could it be included in the Bible? Answer: The word canon is used to describe the books recognized as inspired of God. That God would provide a Canon of Scripture without inclusion of bad materials or deletion of important ones is logically credible. The Bible is self-authenticating. Its books were breathed out by God (2 Tim 3:16). Since A.D. 397, the Christian church considered the canon of the Bible to be complete and therefore it is closed. Therefore, we cannot expect any more books to be discovered or written that would open the canon again and add to its 66 books. Even if a letter of Paul were discovered, it would not be canonical. Undoubtedly Paul wrote many more letters during his lifetime than the ones that are included in the New Testament, but the church did not include them all in the canon. Not everything an apostle wrote was inspired. Question: The book includes the question “How is Paul’s opinion in 1 Corinthians 7:25 to be taken as God’s Word?” but never actually answers it in Chapter 3. You have said that you love Ravi Zacharias but don’t necessarily have to agree with him because he’s not God. In this case, Paul isn’t God but his words are considered Scripture now. How would you view this from the early church’s perspective? Question #1 – Why does God reveal his wisdom to us through the Spirit? Question #2 – Why does the book stress that we think in paragraphs? Question: Why should Corinthians 15:29 “serve to give us proper humility” as the book states? Answer: The context of this phrase in the book could be referencing the fact that scholars do not know everything and have complete answers on the meaning of this passage. We should not assume that we know everything about the Bible. However, as one decides to study the verse they read a verse that presumes that the dead must be baptized. Many people are off-put by this particular verse in the chapters and often choose to ignore it, but we should try and understand what this verse is meaning and discover humility from it. Paul never tried to discourage the act of baptizing the dead as many would expect. He clearly stated to them that if they did not believe in the resurrection, then their beliefs were practically worthless. This verse allows us to realize that we must hold true to the essential beliefs of Christianity. There can be slightly debatable practices performed in the church such as the baptism of children, but the complete and utter denial of the resurrection makes those beliefs completely worthless. You cannot claim to practice Christianity if you do not hold true to the essential beliefs. Question: Webster, you often discourage us from reading books of the New Testament all at once because you believe we will miss details. However, the book has stated over and over that we should always be reading the books all at once or we miss the entire message. Do you think that we can still understand the bible just as clearly if we study it piece by piece over a period of time instead of reading it all at once and then taking it apart? Question: What is the purpose of 1 Corinthians? Answer: Corinth was a city of about 700,000 people. The city had a reputation of being sinful. It had many shrines and temples. The most prominent temple was the temple of Aphrodite. In early Greek literature the city was linked to wealth and immorality. One can certainly see, then, how the immoral and religious conditions of Corinth had negatively impacted the life of the church spiritually and morally. 1 Corinthians was written as a pastoral corrective to the news Paul had received to the many problems and disorders in the church there. Question: Why is it so important to read the letters at one time? Are the epistles and the commands Paul uses important? The epistles help us understand both the early church and how we should act today. Most of what Paul says in his epistles are truths that are capable of being applied to our lives. Paul’s theology is sound and his promises are true. For example, his promise of immortal bodies in 1 Corinthians 15 is something we know to be true. Every letter Paul writes has a purpose to the specific audience, and that context in important to understanding the epistles. However, even without context these are truths worth living by. 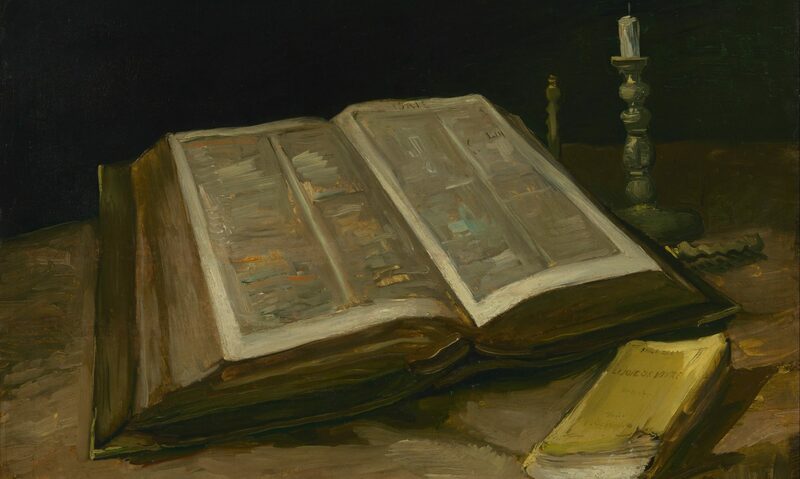 How important is re-reading the Bible over and over? Question: What are the epistles? Answer: An epistle by definition is a letter. They are letters to various recipients answering questions regarding the meaning and practice of the gospel for believers. They were instrumental in educating and strengthening the new Christian churches around the world. The Epistles additionally give information to help believers understand the life of Christ. They are divided into the Pauline Epistles and the Non-Pauline Epistles. The Pauline Epistles are letters written by Paul and can be further divided into the epistles written to churches, personal epistles, and pastoral epistles. The Non-Pauline Epistles are the Hebrew Christian epistles. Question for Mr. Webster: Are there strategies other than those given in the book to comprehend the Epistles? Question: The book brought up the “problem passage” of 1 Corinthians 15:29. This passage talks about baptism for the dead. Was the Corinthian church baptizing for the dead? Answer: “The phrase “baptism for the dead” is so obscure and perplexing, the meaning so uncertain, and the variety of interpretations so numerous that it seems wise to say it seems impossible to know what the phrase means. The notion of Christians being baptizing for the sake of those who’ve died offends our theology. It sounds like a magical sacramentalism. It seems to contradict justification by faith alone.” Pau clearly does not believe in baptism for the dead. It undermines Jesus being raised from the dead and all united in him having salvation and resurrection. This is a passage that Mormons take out of context and use in their support. Since Paul doesn’t rebuke the Corinthians for their practice, then their baptism for the dead was harmless, a minor offense, or misunderstood. If baptism for the dead actually perverted the gospel, he would have denounced it, as he condemns other sins in the letter. Question for Web: Did Paul write other insightful letters that we are aware of? If so, why are they not a part of the New Testament canon? How exactly are the epistles of the New Testament divided, and more specifically, what do they focus on conveying? The Epistles are generally divided into the Pauline Epistles and the Non-Pauline Epistles. Paul’s epistles fall into two categories: nine epistles written to churches and four pastoral and personal epistles. This is then followed by eight Hebrew Christian epistles (Hebrews and Jude). The epistles answer the questions on the meaning and application of the gospel for Christians, give the interpretation of the person and work of Christ, and apply the truth of the gospel to believers. They also provide valuable information about the background of Paul and his conversion. In addition, they distinctly emphasize the Lord Jesus, the gospel message, and the gospel on the believer’s union. The whole chapter deals with the intricate and time-consuming process of conceptual reading required in reading the epistles. Why wouldn’t God chose to provide easier tools to understand these books? Also, why are the “difficult passages even experts cannot explain” necessary in the books? Q: How can we apply the epistles to modern day Christian life when they were written to a specific group many years ago? A: When Paul wrote the epistles, the city of Corinth was falling to moral corruption. “The immoral and religious conditions of Corinth had negatively impacted the life of the church spiritually and morally.” In the letters, Paul talks about how Christian’s are called to live a sanctified life and apply it in every situation they live out. We can relate this to ourselves, because the teachings of Christianity are the same regardless of the time period. We are living in a fallen and sinful world. We can use Paul’s letters as an example of the way we as Christians are called to live through Christ. Q for Web: How does the historical context impact what was written in the epistles? Q: How should we read the epistles? A: If you’re going to linger in a particular epistle, you will benefit from reading the article about that particular New Testament book in a good Bible dictionary or in the introduction of a commentary. You will get the essential features: who wrote it, to whom it was written, the occasion of its writing, and the date If you are reading an epistle more quickly, the notes in a good study Bible will give you the important facts in brief. It’s best to meditate on some parts of the epistles. For instance, the amazing songs and creeds and prayers embedded in some of them. Other parts of the epistles have complicated details that require the help of Bible historians and archaeologists, which we will find in Bible commentaries. Q for Web: In the book, it says that the epistles are written for specific people at a specific time. If this is true how can we determine what applies to Christians today? Q1: How can we, as modern day christians, draw applications from the epistles since they were originally addressed to such specific audiences and problems? A: Although Paul wrote his letters addressed to certain people, we was aware and actually wanted his letters to be read by others outside of the specified church. Paul also recognizes that what he is writing is given to him by the Spirit (it is not his words, but God’s), therefore, what he says has a foundation of truth that can apply to every audience, no matter the location or time period. Q2: Are there some of Paul’s letters to churches that didn’t make it in the Bible, and if so, what qualifies the ones in the Bible rather than the ones left out? Why are letters to churches from Paul included into the Bible? Why did the Corinthians have such an “Inadequate understanding of the gospel and leadership in the church? Question: What are the main themes in 1 Corinthians? Answer: The main themes are “correction” as Paul sought to correct the problems in Corinth, and “wisdom,” contrasting God’s wisdom with man’s. “Wisdom” occurs 29 times in 22 verses. Question for Web: What are the easiest ways for us to understand Paul’s letters since we are only looking at one side of the conversation?